Isolated, hurting, all Adam Jepson wants is to forget. 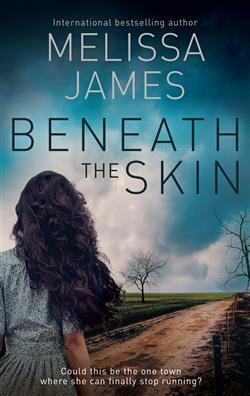 After the deaths of his wife and son three years before, he’s moved to the outback with his young daughter, Zoe, to put the past behind him for good. But when Elly walks into his station, she reminds him of all the childhood joy and love he’d forgotten. Soon, he’s lost in a desire he never knew could exist. And while his guilt at leaving Elly behind years ago, and the vow he’d made to his dying wife, means he can never be the man she needs, he can’t stop caring, can’t stop trying to make Elly’s life right. Though the whole town seems against them, he can’t stop wanting the forbidden. But when anonymous harassment escalates to murder, Elly knows her presence in Macks Lake has put Adam and Zoe’s lives at risk. Everyone’s safer if she remains alone – a fact that her stalker is very much counting on as he gets ever closer to his prey. Elly Lavender is a doctor who has been working in Outback Qld/New South Wales for quite some time but is currently on the run from a man who has become obsessed with her. Elly saved Danny Spencer when she found him trapped in a car wreck. When Danny was released from hospital he declared that he loved Elly and that she was his, his alone. Elly soon realised she needed to get as far away from this man as possible. Australia’s outback is huge, so it should be easy for Elly to ‘get lost’ and lose her stalker. The problem is Danny’s grandfather is extremely rich with contacts in all the high places, so disappearing completely is not so easy after all. But even he has his own agenda; a different heir to his fortune, who is brighter than his Grandson. Elly returns to a small town where the love of her life, Adam, lives with his small daughter. A police officer with baggage of his own, Adam finds it hard seeing Elly after all these years, but the sexual tension between the two is great. To put more of a strain on things, Adam’s partner Rick, seems to have a problem with what is going on between the pair. The story alternates between Elly and her stalker. And as Danny and his alter ego Monster, slowly but surely tracks her down with the help of Grandfather, a path of bloody murders is left in his wake. I enjoyed the setting of the book, having a love of the Outback and with a knowledge of the areas around Broken Hill, Mildura and along the Murray River on both sides, was trying hard to figure out exactly where on the map Macks Lake might be. I really enjoyed reading this book and will be looking out for more from this Author in the future.